Honda isn’t particularly famous for supercars. It's better known for building affordable family hatchbacks. 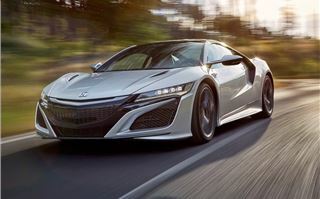 But back in the 1990s Honda was a disruptive force on the supercar scene when the NSX left the competition trailing for performance and usability. Now, 26 years on, the NSX has returned to do it all over again. 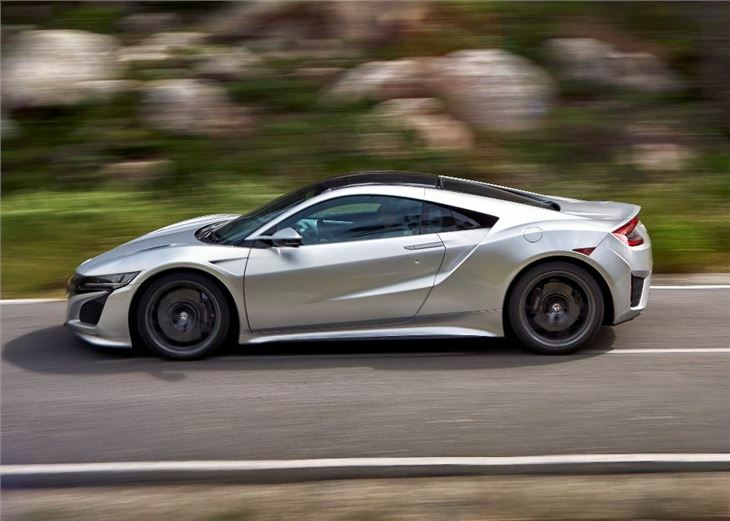 The 2016 Honda NSX is very different from the car that bore the name in the '90s. 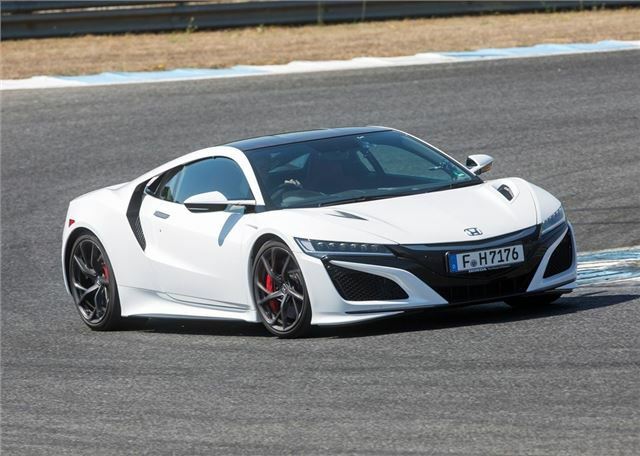 For starters, the new NSX is a hybrid, with its twin-turbocharged 3.5-litre V6 engine working with three electric motors to power all four-wheels. The lithium-ion battery pack has no plug-in function, like the BMW i8, but instead uses energy from the engine and regenerative braking to run the car on electric power at low speeds. 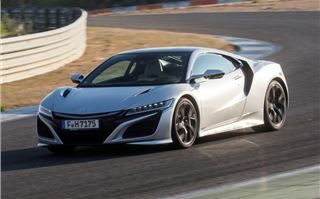 That said, with a claimed 28.2mpg and CO2 emissions of 288g/km, the Honda NSX is not here to save the planet. Far from it. The hybrid system has been developed solely for performance, with the electric motors working with the engine to improve handling and create a considerable 581PS. This performance - and the NSX's £137,950 list price - puts it firmly into Audi R8 Plus and Porsche 911 Turbo territory. One of the most challenging aspects of the NSX is explaining the technology behind it. It's an incredibly complex piece of kit. For example, the body is built from a lightweight, mixed material spaceframe, while the electric motors at the front have been tuned to improve high speed cornering by managing the level of power to each wheel. The braking system is high tech too, automatically switching from hydraulics to battery regeneration, depending on the state of the battery. Yet, for all of its futuristic styling and rocketship technology, the Honda NSX does not drive like a university science project on wheels. In fact, you'd be hard pressed to tell it apart from any other four-wheel drive supercar. And that's why we think it is brilliant. 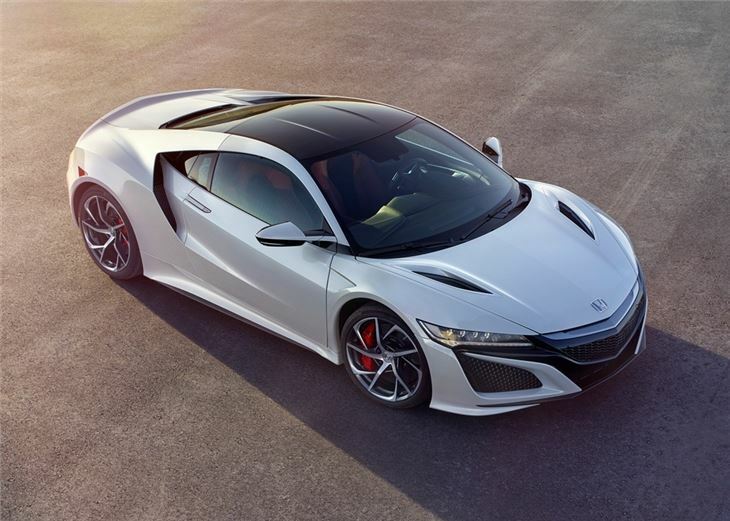 Like the old model, the 2016 NSX is easy to drive with instant acceleration and nimble handling. 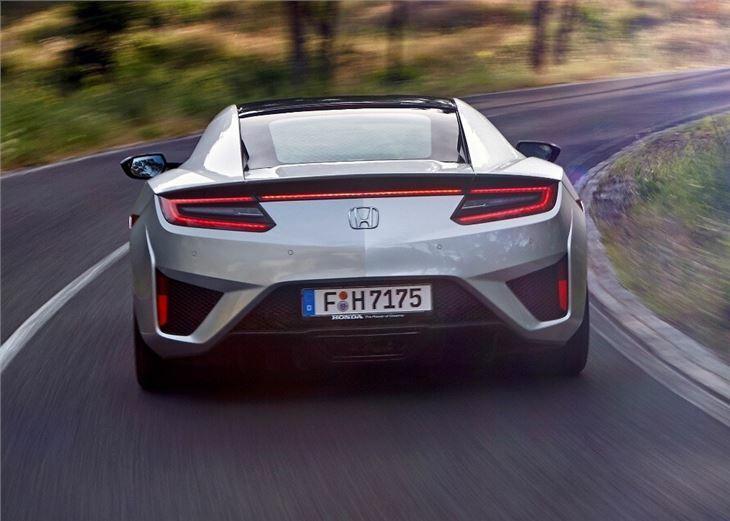 Honda claims the NSX will sprint from 0-62mph in sub-3.0 seconds and we have little reason to question it. 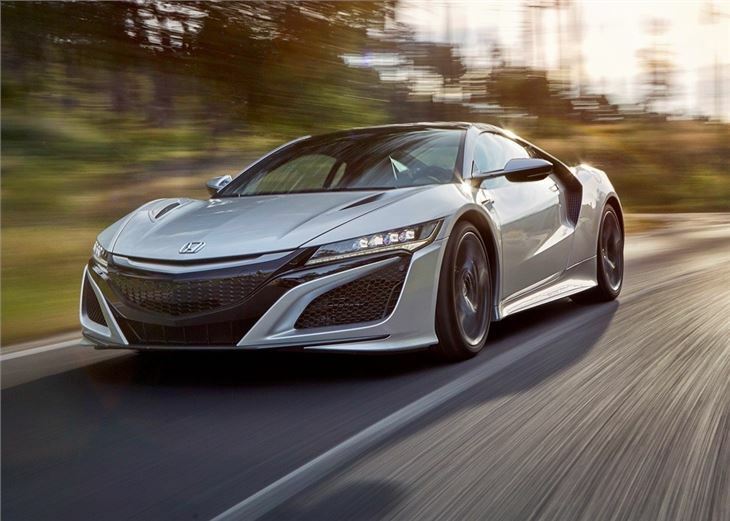 The NSX is brutally fast in a straight line, yet amazingly nimble in the corners, with the lightweight body and electric motors doing an incredible job of hiding the car's substantial 1800kg kerb weight. One of the pitfalls of four-wheel drive is usually found in the cornering, with some supercars snapping out of control as soon as you reach their limitations. 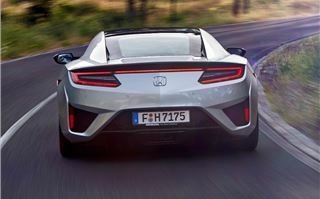 However, the NSX has been designed to provide the feeling of a rear-wheel drive supercar, with the back sliding out long before the four-wheels give up their collective hold of the asphalt. 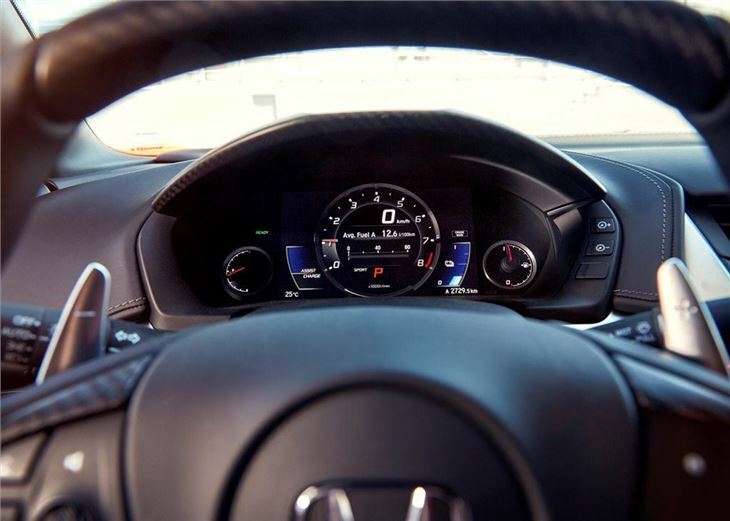 This makes the NSX extremely predictable at high speed, letting you push it to its limits, without the fear of being booted into the gravel whenever the four-wheel drive system gets nervous. One area that made us anxious was the NSX's braking system. Honda uses a brake-by-wire system to automatically switch from regeneration to hydraulics. This means, in short, the brake pedal is attached to a switch, with a computer providing the feedback. However, as with everything about the NSX, unless you were told about the system in advance, you'd never know it was there. On the road you can tone things down and use the NSX as an everyday car. There are various driving modes. The Quiet setting allows you to push along with a mixture of electric power and hushed low revs from the V6, while the Sport and Sport+ modes crank up the response of the brakes, steering and sound, with engine noise piped into the cabin via the speakers. The NSX is surprisingly suited for life off-track. The ride is hard, but comfortable and the nine-speed automatic gearbox is easy to use, with intelligent up and down changes. If you want to operate the gears manually, then you can activate the paddles, which allow you to run up to the rev limit at 7500rpm. 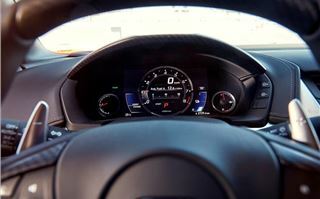 However, the interior quality isn't anywhere near Audi in terms of quality or usability. We found some cheap plastics and gaps in the trim, but it's nowhere near the worst in the supercar class. The seats are large and supportive plus all-round visibility is superb, thanks to the low position of the dashboard and narrow side pillars. There is also a small 110-litre boot, which will just about squeeze two overnight bags. 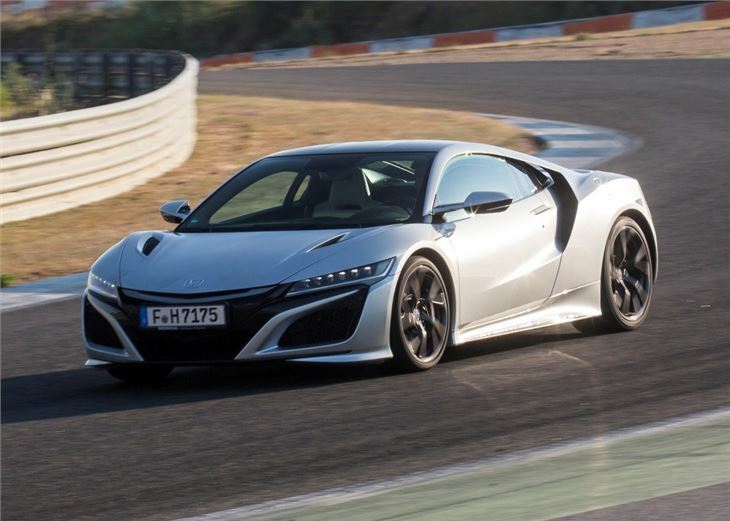 The case for buying the Honda NSX over traditional supercars will not come down to performance - the NSX will easily match the Porsche 911 Turbo and Audi R8 Plus on track. The selling point will most likely come down to the fact that it offers something considerably different in terms of powertrain and styling. 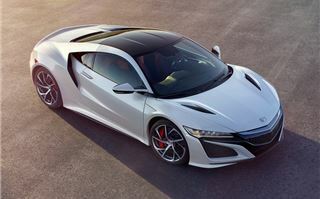 We think Honda has nailed the NSX on all areas. As a result it is a worthy successor to the 1990s’ classic.